Bloggers and influencers have to deal with their fair share of nay-sayers who accuse them of being shallow, privileged and blind to it. And while not every content creator out there contributes positively to the reputation of our profession, there are plenty of examples of people who use their online platform to inspire and change minds. 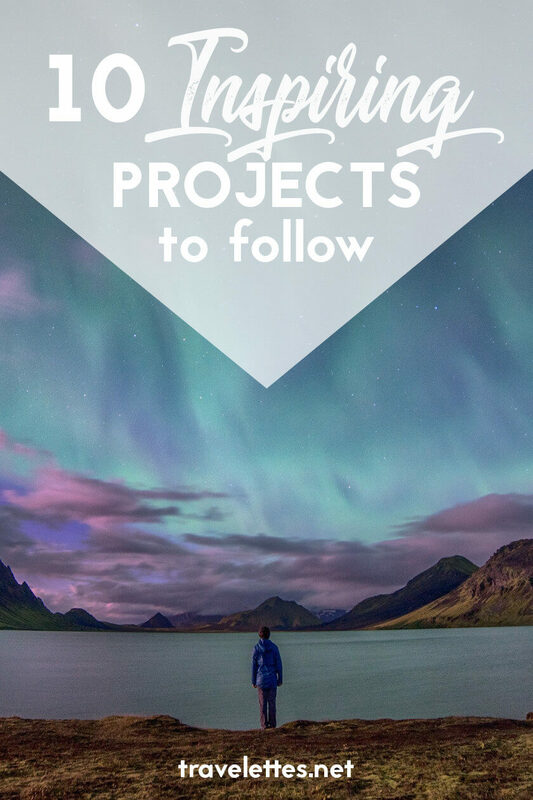 With this post I’d like to introduce you to 10 projects, blogs, podcasts, campaigns and initiatives that contribute to an engaging conversation about how we roam this planet as locals and as travelers. If you want to change the way you travel and live on this planet, check them out! I love a project that inspires people to reduce their waste and do their part to make this planet a bit cleaner. 5 minute beach cleanup does both and prompts people to spend just 5 minutes to pick up rubbish whenever they set foot on a polluted beach. Plastic is the most common element found in the ocean and that in itself is a sad conclusion of the impact humans have on the planet. Every piece of plastic you pick up from the sand cannot be swept back into the ocean. If you think about it, 5 minutes is really not a lot, even if you had plans to bake in the sun the entire day. If you want to see what other people are achieving in 5 minutes, join the conversation at #5minutebeachcleanup and tag @5minutebeachcleanup to join the collective revolution! Instead of fighting the pollution that already exists on our planet, Vilda magazine contributes towards a re-thinking of how the goods we consume are produced. The fashion industry is among the biggest polluters of our environment and exploits workers across the world. Vilda is a digital fashion, beauty and lifestyle magazine with a twist – they only promote vegan, ethical and sustainable fashion that looks good, and is good for the planet. I recently joined their editorial team as travel writer and love reflecting on my travel habits from a perspective of ethics and sustainability – check it out here! If someone thinks travel bloggers are shallow and fake, they clearly haven’t read the work of Oneika the Traveller. Oneika writes one of the realest and most honest blogs I have ever read, whether she opens up about the authenticity of influencer marketing or body hair. Just recently she joined the conversation about the lack of diversity in the travel industry with a brilliantly penned article that not only talked about the problems, but also suggested some solutions for the issue. If you don’t follow Oneika’s blog yet, click subscribe now! I initially started following Sarah’s travel blog Coffee then Travel because she featured a country which hardly anybody wanted to talk about as a travel destination at that time: Egypt. Later I realized she was also the brain behind Girls that Scuba and even though I don’t scuba myself, it got me interested. Then a couple of months ago, I had one of her brilliant vlogs on my Facebook timeline and that one sealed the deal for me – I knew I had to tell you about Sarah Richard! In the video Sarah talks about her experience of going plastic-free for one week. You can watch the full video below, but to summarize, our supermarkets make it incredibly hard to abstain from plastics, but it is possible to reduce it considerably without too much effort. I have since joined a Facebook community that Sarah has started, A Waste Free World, which people from around the world fill with daily inspiration and lots of advice on reducing plastic. If you’d like to learn more, you should join too! Also reflecting on the issue of diversity in the travel industry, fellow Travelettes-writer Annika has written a piece and started an Instagram hashtag that is not only inspiring to look at, but also a great resource to take action and diversify the people you follow and the blogs you read online. Yes, it is easy to think that the travel industry on Instagram is all white and skinny, but believe me, there are plenty of people out there that proof the opposite. Annika’s @realwomentravel is a great place to find them! Positive News is a constructive news magazine that publishes articles about the positive things in this world. The news is often dominated by wars, destructive politics or natural catastrophes, so reading a magazine that tells you about empowering social movements in India, the scientific progress of Bangladesh or projects that turn waste into fuel is like a breath of fresh air! In times like these, it is great to regain trust in humanity, read about inspiring projects, groups or individuals, and to restore faith that together we can change things. Championing women in the outdoor sports has always been a mission close to my heart, and that’s why I was super excited when I stumbled across She Explores on Instagram. 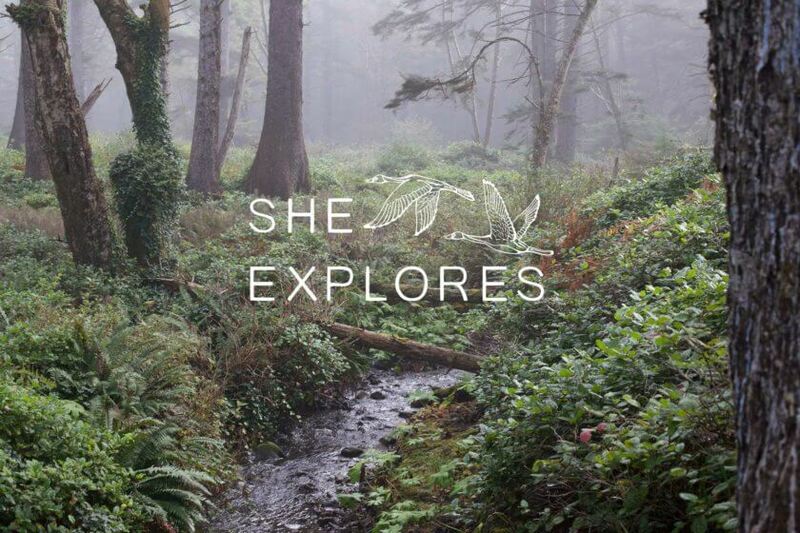 She Explores is a podcast for and about women who are inspired by time spent outside. Gale Straub started the podcast in June 2016 and every 1-2 weeks since then introduces her listeners to another outdoor-loving woman. An adventurer herself, Gale talks to many different women who are active in the outdoor sports, whether they run their own trekking companies or are trained mountain guides, changed their lives to climb mountains or have been living on the slopes of hills since they were children. One of my favorite recent episodes tells the story Marinel de Jesus, who quit her 15-year long career as a lawyer to organize hikes and treks around the world. I immediately started following her blog Brown Gal Trekker and am ogling the treks she offers with her trekking company. The second podcast hosted by She Explores is called Women in the Road and focuses not on mountain women, but on female experiences of vanlife. Women are not the only people terribly absent from the outdoor industry, so are people of color – but the organization Get Out, Stay Out is trying to change that! Like the travel industry itself, the outdoor industry can only benefit from being diverse and representative, which is why Karin Ramos founded this non-profit. 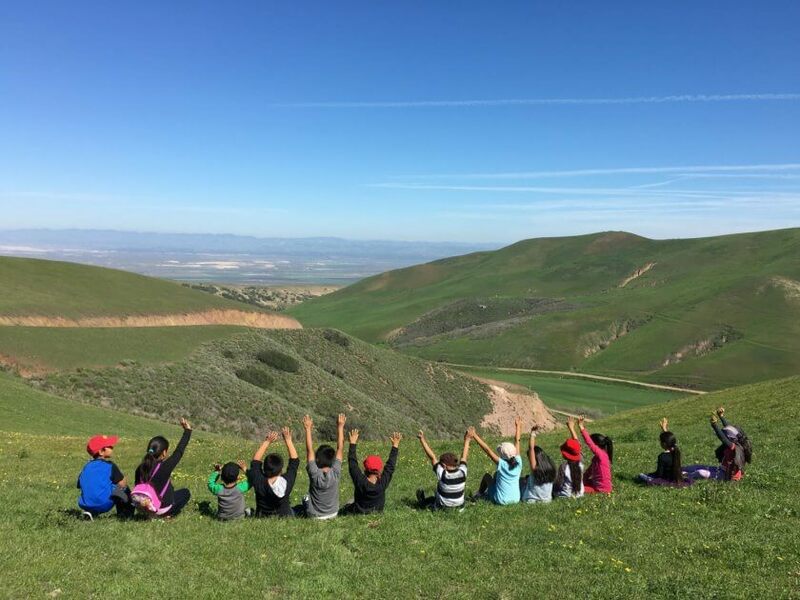 Based in California, Get Out, Stay Out organizes outdoor activities for children from low-income migrant backgrounds – anything from hiking and camping to multiple-day backpacking adventures. The organization wants to introduce more kids to outdoor culture early in their lives, so that they can grow into outdoor-loving adults who actively contribute to the diversity of the outdoor community. I know from my own learning experience, that being outdoors helps growing confidence, gaining technical as well as leadership skills, and develop a social community that is not based on strength or ability, but on team building and friendship. As more and more people move into cities, and time spent in nature and wilderness decreases, I love the idea of an initiative that tries to counteract this by getting more kids (and adults) to get out and stay out. 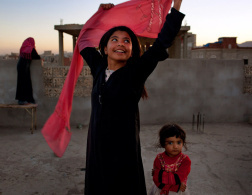 Read more: How should we teach out children to travel? Zim Ugochukwu is a writer and travel photographer, and founder of Travel Noire, an award-winning boutique travel company and publishing platform. The travel stories on the platform are brought to you by a number of hand-selected writers from the African diaspora. They live around the world to bring you fresh and authentic stories and change the way we view the international travel community. However, Travel Noire is not just there for inspiration, you can also book yourself on one of their TN Experiences – carefully planned group trips to places such as Zanzibar, Cuba or South Africa. 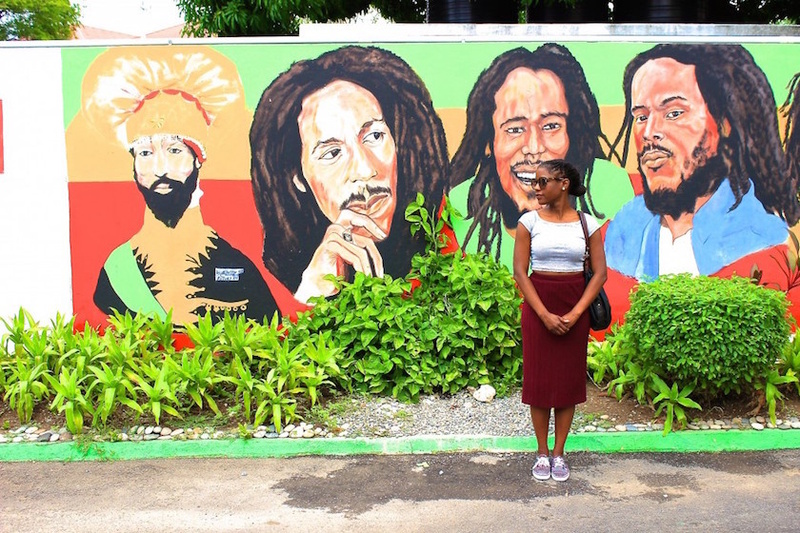 These days, TN is run by media company Blavity, but I still love to follow Zim on Instagram for some awe-inspiring travel ideas! There are many travel bloggers out there who look the same, go to the same destinations and tell the same kind of stories. While I certainly think that each and every one of them has something unique to offer and can bring their very own personal perspective to the travel industry, it is important that we get to read travel stories from a variety of people with different backgrounds, appearances and abilities. 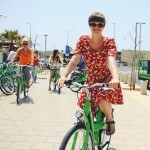 Simply Emma is a travel blog run by Emma Muldoon, one of the UK’s leading disability bloggers. She writes about accessible travel and describes her experiences of the world from a wheelchair user’s point of view. For people with disabilities, Emma’s blog is an incredible resource with information about accessibility of destinations, sites and attractions, accommodation reviews and tips for making travel in a wheelchair easier. 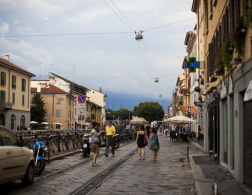 But what I love about Emma’s blog is that it’s not just aimed at people with disabilities – her stories and travel guides are equally useful and inspiring to travelers without disabilities – and in fact, they create more awareness for how to make the world a more accessible place for everyone. The beauty of the online travel community is that it is now easier than ever to discover inspiring people and projects to follow and expand our horizon of what it means to travel. 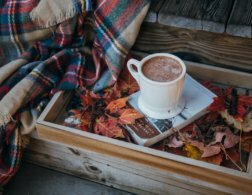 I hope you have discovered 10 new inspiring accounts to keep up with! Who are your favorite people to follow for travel or life inspiration? Oh your so right Charmaine. For years I avoided posting pics of my whole body because I only saw flaws (the things that were different to the "instal-famous"). I hope we can start to see our feeds with more diversity soon! What a great piece. i will absolutely follow some of these. 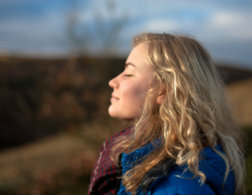 I have just started my own blog and with it launched the Strength in Kindness Project and a part of it will be how to treat our world with kindness - i.e. plastics. I did a guest lecture last night on plastics and its baffling how poorly educated we are when it comes to plastic use. I love reading your blog, keep up the awesome work!